For every occasion there is a donut. Because the United States won big in women's hockey, dealing a last-gasp blow to Canada in a penalty shootout to win gold, Dunkin' Donuts is selling a special donut to revel in the glory. The donut is meant to look like a medal, albeit one that's supposed to go in your mouth. It's got white icing and red, white and blue drizzle, topped off with a Munchkins donut hole for good measure. It isn't fuel for Olympic athletes, but it can probably help you dream big of one day competing at the Games, replete with strange men in tutus and foul-mouthed teens as they are. 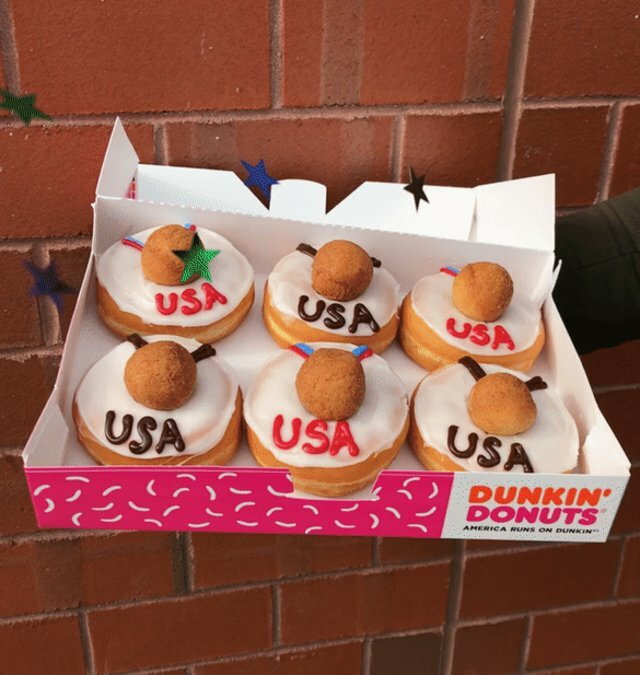 The Olympics donuts are available at select Dunkin' Donuts locations throughout the country through Monday, February 26. 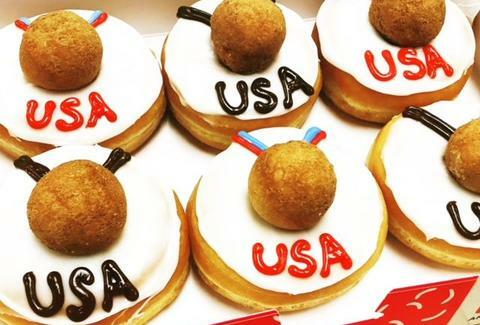 The Games end on Sunday, February 25, meaning you can watch the closing ceremony while eating a Team USA donut. This might help you drown your sorrow as the Olympics say goodbye for the next two years. After all, there's no guarantee of a commemorative donut for the next Olympics. But we can always dare to dream.